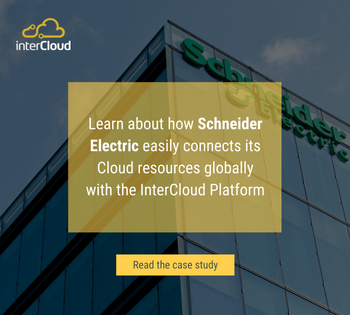 According to Gartner, InterCloud is a Software-Defined Cloud InterConnect (SDCI) provider. With this said, it is easy for anyone outside InterCloud's core IT and engineering functions to imagine InterCloud’s implementation of building and service delivery processes to be similar to the fully automated industrial process of a Toyota, or of a cloud based company such as our cloud service providers partners. Actually, our network configuration automation processes are "work in progress". However being “THERE” has always been the goal and still is and for more than two years now, it has been actively pursued. During 2018 we have reached a step where our service delivery architecture are structured “as code” and delivery process is +80 % automated. The goal of this series of posts is to share with our customers, partners, colleagues and everyone else interested in the topic of automation, especially automation of network and it’s support systems, our journey towards a fully automated network. The first part of this series will focus on the analysis we have made of the existing tools in the market. In this scenario, basically the automation teams goes with a programming language a set of libraries / frameworks compatible with the network equipments they are dealing with. This approach is well suited for specific network tasks. For instance each time a new application is in production, vlans are created on switch A and B, a SSH, HTTP(S) flow are opened on external and internal firewall, and a new pool is added on load balancers. Network administrators will make a program or collection of scripts (maybe) in Python using NETCONF library if their equipment is compatible with it or send REST API request if the set of equipments provide an API or a mix of both enabling the configuration of vlans on switches, rules on firewalls and pools on load balancers. This approach requires human intervention to fill in the configuration parameters and validate the implementation. There is usually no transactional workflow involved which make it difficult to rollback the chain of operations when it fails on one device. Network administrators have kept themselves at this step for long following their sysadmin peers who have been configuring web servers, databases servers or databases using the same kind of approach. This has changed when sysadmins have adopted the IAC (Infrastructure as Code) approach using tools such as Terraform, Ansible, SaltStack, Git, CI/CD emulating the software engineers and configuring a complete system infrastructure in one transactional stack. Then network administrators have started using the same tools but with the old approach : configuring a set of functions on equipements filling in the parameters and checking the implementation. System and software engineers have moved long ago from this step and have become fully integrated and fully automated coining the concept/philosophy/job title of “devops”. Needless to say this approach is not maintainable, scalable or even suited for more complex environments and tasks. These tools have been designed with configuration management and automation of compute assets in mind or plain simple workflow management. They are not tailored for network automation but as they are generic and opened enough and are built in a modular approach and plugin based they have been enhanced with network modules, plugins and workflows in such a way that they are as much compute and network automation relevant now. This approach can be the best in certain environments but may not be suited for all. It’s up to every network automation team to assess if this will suit their needs. This approach could be suited for homogeneous network environment which are predictive enough and where there is a need to leverage the machine learning, auditing, policy enforcing functions that come with some of these products. And as it can be expected for most of the off the shelf products that target these specific and complex problem some particular but unavoidable scenarii would not be taken into account and it may be very difficult to integrate them seamlessly such that sometimes the benefits are totally wiped out. This approach was not the most relevant for InterCloud, as we need to be able to operate in a heterogeneous multi-vendor environment, where any possible scenario can arise, standardized and automated. However this approach is the one followed by most of the largest carrier-providers as they have the capacity to build an integrated team around network equipment device vendors and their ecosystem. Platform Automation Senior Architect, currently working on the design of a distributed solution to automate the implementation of network configurations within a global backbone. Passionate about topics related to distributed architectures in cloud environments as well as IaaS, PaaS, Automation, DevOps, & autoscalling.